Totkay To Minimize Kal Sarp Yoga Impact In Horoscope, why struggle arises in horoscope due to kalsarp yoga, Is kalsarp a very dangerous, easy totkay to get rid of kalsarp yoga. In reality there is no need to have fear if kalsarp yoga is present because this is not only one yoga which creates problems in life instead there are many other harmful yogas too which are much more dangerous then this yoga. kalsarp yoga means presence of all the planets between Rahu and Ketu i.e. 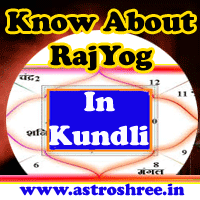 if Sun, Moon, Mars, Mercury, Jupiter, Venus and Saturn is present between Rahu and Ketu then kalsarp yoga is said to be formed in the horoscope. It is a type of boundataion i.e. the person feels struggle in every segment of life and so sometimes depression arise in mind, frustration arise in life etc. Person may not get the deserving job , person may not get a good life partner at right time, person may not get the social status, some are not able to get good marks, sometimes it also affects the progeny. So here in this articles I am providing some easy totkays to overcome from this problem. These totkays are easy to use and anyone can do it anywhere. First totka is very simple on every panchmi tithi do worship the snake present in any shivling and pray to bless you with a healthy and wealthy life. If any seperate temple of snake god is present then do worship there. Do brink some soil of Bambi and keep it in your pooja place or you can also keep that soil in a tabij and wear it on panchmi tithi. It will save you from evil eye effects. On panchmi tithi falls on wednesday then do take a pair of copper snakes , worship them properly and then just put them in any flowing river. Daily recite navnaag strotram, it will open the way of success. Shiv puja is a panacea of this problem, so if you are a devotee of lord shiva then do believe nothing will happen, daily worship shiva and pray for success. Another special totka is a 18 day process, for this you have to install a pair of copper/silver/gold snake(male and female) and daily recite 1 lesson of bhagwat geeta, on 18 th day do put every thing in flowing river, feed a brahmin and take blessings. This is a very good and easy totka to minimize kalsarp yoga. Kalsarp shanti puja is another way to make life successful. Naagpanchmi is also a good day to perform nag puja to getrid of kalsarp yoga. Wear a sarp ring to open the way of success. Install a kalsarp yantra and worship it daily. So there are various easy totkays to minimize the impacts of kalsarp yoga in horoscope, do use any of them and make your life wonderful, hurdle free. What is kalsarp yoga ?